Why look for homes for rent in Scottsdale’s McCormick Ranch? Homes for rent in Scottsdale cover a large area. Scottsdale is over 30 miles long North and South. Our newest home posted for rent from KRK Realty and Management is in McCormick Ranch in Scottsdale. With an area of over 3,000 acres covered in one HOA it has many housing types covering a vast number of needs. McCormick Ranch is a master planned community built from the early 1970’s to the mid 1980’s. The master plan included much green space, including a greenbelt and a golf course. Unlike many communities that were built with 5 models and 3 shades of pink or brown colors of homes, McCormick Ranch has many builders and architecture styles. With the homes now 30-40 years old many homeowners are remodeling and updating the homes. While other HOA (Homeowners Association’s) limit the amount of changes McCormick Ranch embraces the improvement of homes. “The Architecture Review Committee is tasked with embracing the need for home owners to improve their homes to today’s building and floor plan needs, while keeping the surrounding neighbors needs in mind. As a member for of the committee for the past years I have embraced the improvements home owners have brought to the committee” Kevin Kirkwood states who is a member McCormick Ranch Architecture Review Committee. The newest listing by KRK Realty & Management is in McCormick ranch, has four bedrooms, inviting pool, walking distance to Cochise Elementary and available February 2015. Please check our website www.krkrealty.com for more details. 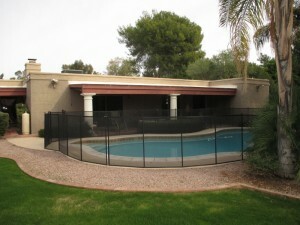 We look forward to you checking our website for homes for rent in Scottsdale.